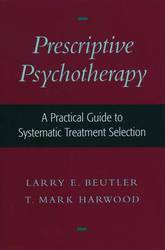 A brief reference book for professional psychotherapists. It is inteneded to help practising clinicians select the appropriate therapeutic procedure for various patients. With over 400 types of psychotherapy available, ranging from the highly effective to the highly questionable to the downright fraudulent, the task of choosing a therapist can be daunting. Now, Am I Crazy Or Is My Shrink? gives you all the information you need to get the most effective help and to know when your therapy is working-or when it's time for a change. 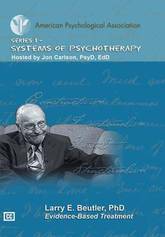 Drawing on years of practical experience and the most up-to-date research, the authors give you expert guidance on all the issues you should consider, whether you're seeking therapy or uncertain about the therapy you're receiving: What questions should I ask my therapist about a recommended treatment? What personal qualities and professional qualifications should I look for in a therapist? What do research studies say about the effectiveness of a particular therapy? How do I recognize when a therapist is not right for me? How can I tell when my therapist's behavior is unethical or unprofessional? What strategies can I use to evaluate my progress? The authors also provide an overview of the main branches of psychotherapy and suggest which approaches are best suited to the most commonly occurring problems, such as depression, anxiety, obsessive-compulsive disorders, eating disorders, relationship and sexual difficulties, and many others. 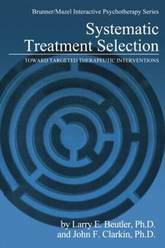 Finally, the authors stress that because therapies don't come with warning labels, and because a therapist will typically apply his or her theory to whoever walks through the door, regardless of their unique symptoms and circumstances, it is essential to choose your therapist wisely, with as much forethought as possible. 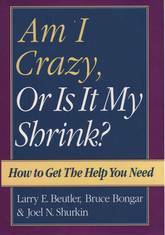 Am I Crazy Or Is My Shrink? empowers you to make that choice with confidence and to be a knowledgeable participant in your own treatment. From initial consultation to termination of treatment, psychologists and other mental health practitioners make a series of crucial decisions to determine the progress and therapy of the patient. These decisions have varied implications such as the clinical course of the patient, the efficacy and efficiency of the treatment, and the cost of the sessions. Thus, the decisions made by mental health professionals need to be accurate and consistent, respecting a series of guidelines that will ultimately benefit the patient. This is the first in a series of guidebooks that is designed to do just that by providing practitioners with some structure in the development of treatment programmes. Previous guidelines have been based on consensus panels of experts or on the opinions of membership groups, causing guidelines to be very far off from the findings of empirical research. 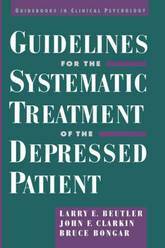 Here, guidelines are presented in terms of treatment principles rather than in terms of specific treatment models or theories, and they do not favour one theory of psychotherapy over another. Instead, they define strategies and considerations that can be woven into comprehensive treatment programmes. The entire series of guidebooks will cover numerous topics, including anxiety disorders, drug abuse, alcohol abuse, and treatment of serious mental disorders. This volume will cover in detail the nature of depression, issues in treatment research, contemporary treatments, and implications for education and training. It is ideal for postgraduates and professionals in the mental health field and is intended to provide important background on treatment of non-bipolar depressive disorders. A complete, thorough, and pragmatic guide to clinical assessment, this authoritative book meets a key need for both students and practitioners. T. Mark Harwood, Larry E. Beutler, Gary Groth-Marnat, and their associates describe how to construct a moving picture of each patient by integrating data from a variety of sources. Included are detailed, systematic reviews of widely used instruments together with strategies for selecting the best methods for particular referral questions. 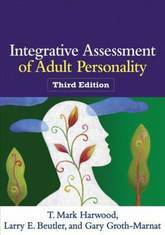 Readers learn to conduct integrated assessments that take the complexities of the individual personality into account, serve as the basis for developing an effective treatment plan, and facilitate meaningful reporting and client feedback. New to This Edition *Incorporates the latest research findings and assessment/treatment planning tools. *Chapters on the Personality Assessment Inventory and the NEO-PI-R and NEO-PI-3. *A new extended case example runs throughout the chapters. *Critically evaluates the recently published MMPI-2-RF. 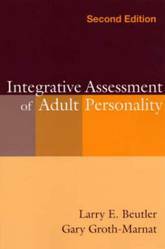 Providing a solid grounding in the most widely used approaches to adult personality assessment, this invaluable text presents a framework for constructing a moving picture of each client by integrating data from a variety of sources. Students learn to conduct assessments that take the complexities of the individual personality into account, serve as the basis for a rational treatment plan, and facilitate meaningful reporting and client feedback. An ideal text for courses in adult assessment and personality, the volume features an extended case example that brings key concepts to life. In Evidence-Based Treatment , Larry E. Beutler demonstrates his research-directed approach to therapy. Dr. Beutler uses data gathered in a presession assessment to tailor his approach to working with the client. The principles on which this method is based have been proven to make therapy more targeted and therefore more effective. In this session, Dr. Beutler works with a young man suffering with depression who wants to be able to enjoy life again. Dr. Beutler looks for relationship themes and at the client's family systems for insight into the sources of the client's depression and passivity, and helps to increase the client's self-esteem and sense of control over his own life. Few topics in mental health are as important and controversial as evidence-based practices. EBPs have profound implications for mental health practice, training, and policy. What is designated as evidence-based will determine in part what therapies and tests are conducted, what is reimbursed, what is taught, and what is researched. Unfortunately, this multifaceted topic has been reduced to simplistic and polarized arguments. 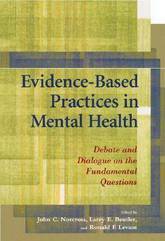 This book, designed for mental health practitioners, trainers, and graduate students, addresses nine fundamental questions in the debate on evidence-based practices (EBPs). Each chapter centers on one particular question in the ongoing debate and consists of focused position papers on that question. The position papers, contributed by the some of the most respected psychologists writing today, are argued with passion and intelligence. Each chapter concludes with a dialogue among the contributors in which they emphasize their points of agreement and disagreement. This makes the book an ideal tool for teaching and discussion. This book helps readers understand the central questions in this fiercely contested subject, provides a balance of views, and purges needless confusion and antagonism. In doing so, the book underscores both the robust commonalities and the remaining contentions regarding evidence-based practices in mental health. The mental health effects of disasters and terror events can be severe, and are most effectively characterized as differing stress reactions with psychological consequences. Empirical studies show that addressing these consequences requires a staged approach to care. 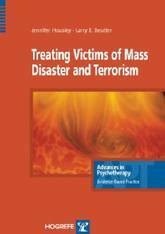 This volume, written by leading experts, provides professionals with practical, evidence-based guidance on diagnosis and treatment following disaster and terrorist events - and does so in a uniquely reader-friendly manner. It is both a compact how-to reference, for use by professional clinicians, as well as an ideal educational resource for students and professionals and for practice-oriented continuing education. The unique feature of the book is that it outlines a staged approach for post-disaster mental health care, based on empirically supported principles of treatments that work. Practical and reader-friendly, it is a compact and easy-to-follow guide covering all aspects that are relevant in real-life.